Everybody from small businesses to major corporations use email to reach out to existing customers and potential customers. The problem is that the average consumer is so flooded with marketing campaigns that they can’t see straight. 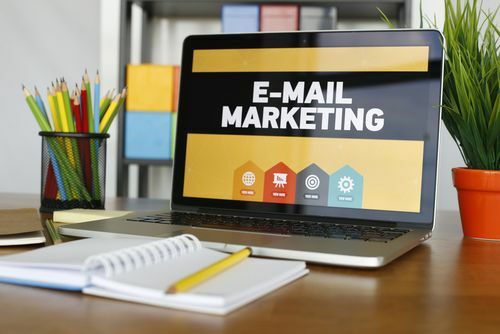 Most consumers aren’t even using laptops or desktops anymore either, which makes email marketing a whole different ball game, even for savvy veteran business owners. Making your email marketing mobile friendly isn’t always easy though. Keep reading for three tips on how you can make your email marketing efforts more friendly to mobile users on smartphones and tablets. Customers on mobile phones and tablets have limited real estate; that’s just the nature of mobile devices. If they can’t get the idea behind your email from the subject line, they probably won’t even bother opening what you’ve sent. Keep your subject lines short and to the point. Less than 10 words is good, but less than five is even better. You can always expound upon a short subject line in the body of the email. Customers respond better to images in all types of marketing, and they’re still effective on a tablet or smartphone. You do need to scale your image to make the whole picture visible though. Limit your images to 640 pixels wide so that everyone can view it. A picture that’s cut off will lose its impact. A CTA, or call to action, is essential for every email. With less space to get your message across in general, your CTA must be clearly visible to anyone reading the email immediately. Make sure your CTA also utilizes a link. It might seem obvious, but many small business owners forget them entirely. Email marketing can be difficult, but just because your customers are using tablets and smartphones doesn’t mean your messages should get lost. Follow these tips and your email marketing efforts will be more mobile friendly. Check out the email templates available to you in the Small Business Marketing Store. What’s Wrong With Your Contractor Coupon Postcards?